Continues the interesting journey of the discovery of planetary movements of the end of the year, with a look at the astrological 12:12 Sky, which is a powerful double. If multiplied, 12×12 gives 144, the sacred number of the Apocalypse, which for the Cosmic History of the Galactic Maya (see Jose Arguelles and lawoftime.org). 144,000 is the number of the Elect who will save the Earth, an iconic figure of perfection. As I always do, I prepared the astral map of 12/12/2016 to determine if the portal is actually active, and I found that at 01.21 UTC the Crescent Moon in Taurus is in perfect Opposition to Lilith in Scorpio to 22 °, number of the Sacred Feminine. Obviously, both the Moon and Lilith are two Archetypes of the Feminine, where the Moon is the Mother welcoming, which nourishes and cares, and Lilith is the rebellious Amazon, who seduces men and claims space for herself. The Opposition occurs between the Eighth House, where the Moon in Taurus, which is the sector that indicates the Family Karma, and the Second House, where the Lilith, the sector that indicates the value that the individual gives to itself corresponding its own history derived from inheritance of the race. 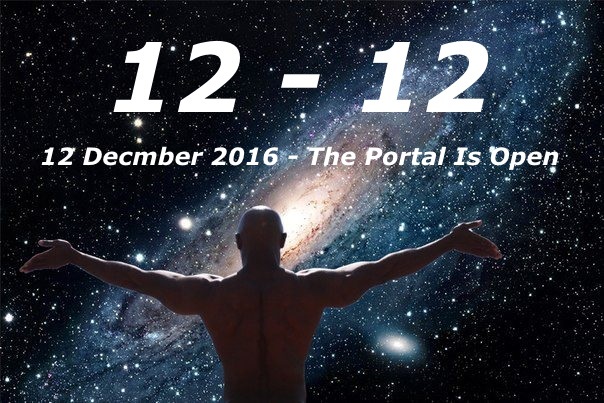 The 12/12/2016 thus brings an interesting imprinting mirror within which to deal with the past and mark a healthy distance from any kind of manipulative attitude that has led us to believe we are not worth enough, of not being able to build a life of serenity and abundance. We have never realized how necessary it was for us to be freed from the chains that were trapping us inside mistakes that weren’t even ours, but that we identified with, because we have always breathed them. So far, perhaps it was not really possible to see! Within this mirror now let’s take the heads of the ties that form the nodes and let’s get them to dissolve. We are supported by a great inner strength, which makes us almost crazy because it’s a new flow, which we do not know, that does not allow us to recognize ourselves, destabilizing us even more. 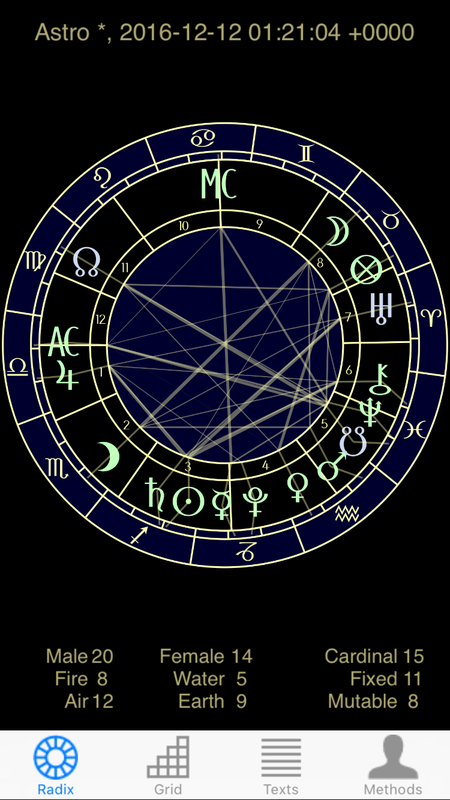 Moreover, the Moon in Taurus has a powerful shadow, which is that of hyper-symbiotic relationship with the maternal archetype, which become clinging and nearly castrating, in not letting the child free to go. Only the cry of rebellion of Lilith in opposition leads to the breaking of the chain, the awakening from hypnosis, perhaps to the vanishing allowed. The “problem” is that the cut comes only after a painful process of marinating in the sense of guilt, the doubt of a powerful mind that might no longer find reference points, because the past has now revealed its traps and the future hasn’t arrived yet. The sense of nakedness is strong. We are freely gliding inside our darkest dark, and here comes the paradox. By slipping ever closer toward the bottom of the fear, we overcome it. We have entered so deeply in it, that we can’t feel it anymore. We become immune, because we have reached such a degree of healthy madness, to feel that we no longer have anything to lose. So we come to the light. We are in the darkest period of the year, so the inner journey is inspired by natural cycles and follows the stimulus. Soon the Light will return. Once again the Archetypes of the astrological Sacred Feminine take us by the hand and accompany us in a miraculous inner journey to put together the pieces of the Self, as well as Isis turned Egypt to reassemble the body of her husband Osiris. With this new sense of integrity, tired after a labor of months, exhausted by a fierce struggle with the demons of the mind, doubt, fear and pain, we approach the Solstice of the 21:12. The Mirror Reflection has changed and has become complementary, because the moon at that time, at 10.44 UTC (when the Sun enters 0 ° the Capricorn, when the Solstice) is at 04 ° of Libra, the sign of a search balance in the report, in an attempt to transform the past opposition in a preferentially communication lane. Very informative and amazing knowing all of this makes me in tear, because my date of birth is also 12! Love your Post Gostica! thank you so much and God Bless.